There’s always something interesting for sale on Craigslist, especially in Seattle. Do click the titles to see the original postings with more photos and additional information if you’re interested – otherwise, enjoy the virtual window shopping! Rain City Audio is not affiliated with any of these sales; contact the respective sellers for more information. If it’s deleted, it’s probably sold already. Today’s selection has several interesting Infinity speakers, Speakerlab 7s, and several others worth checking out! These look like they’re in pretty good shape for their age. 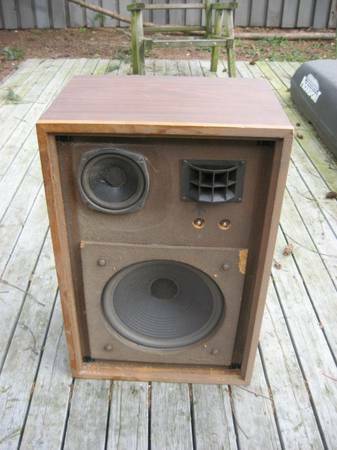 Basically half of a Bose 601 speaker, these have a front-firing woofer and pair of angled rear-firing tweeters to produce that wide, direct/reflecting sound vintage Bose systems were known for. They’re known to be sensitive to room placement, but when set up properly are a great small floor speaker system. 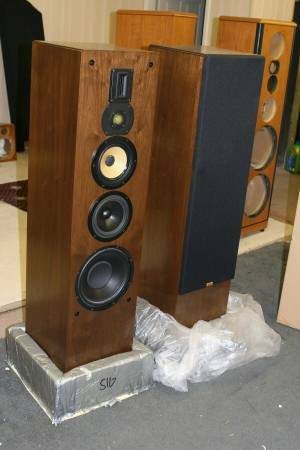 Wide and hefty, these vintage Dahlquist speakers have a very interesting time aligned driver array and crossover network designed to maximize sonic accuracy. They’re nearly 4″ wide and weigh 62 lbs. each, delivering a flat frequency respnose 37 Hz – 27 KHz. Freshly re-foamed, too, so they should be good for a while! 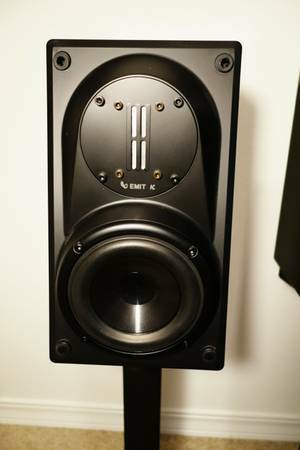 These Infinity speakers are in a beautiful piano black finish and feature a 5.5″ woofer and EMIT-K tweeter in a non-resonant cabinet. The EMIT-K goes all the way to 45 khz, almost double the range of human hearing, so if your favorite music benefits from the presence of ultrasonic harmonics, these might be the speakers to get. They’d likely work well as near-field monitors, too, with the fantastically accurate planar tweeter. These feature Polycell dome tweeters instead of EMIT planar tweeters, but would still make a fantastic surround sound system for your home theater. Quintessential 90’s look to them would match many decors, too – and a decent price! 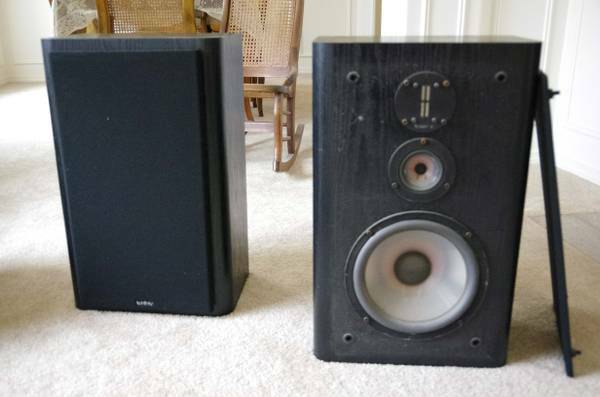 From the late ’80s, these Infinity RS 5000 speakers feature a 10″ woofer and 2.5″ mi-range, both made of semi-transparent polypropylene for exceptional cone stiffness, and an EMIT-K tweeter up top. 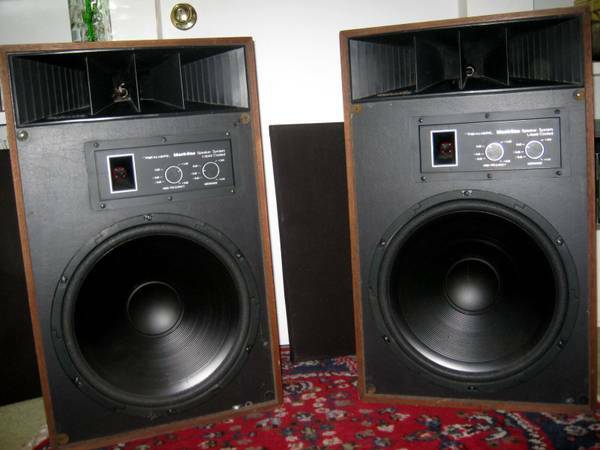 With response from 42 Hz – 45 KHz, I’d love to have a pair of these as bookshelf speakers in my office. Fantastically high-end audiophile speakers, these each feature 3 x 10″ woofers, dual 7″ mid-bass drivers, a 1.25″ dome midrange, and a 4″ electrostatic ribbon driver, flat from 20 Hz – 30 kHz. With that response, and weighing in at 130 lbs. each, you wouldn’t need a subwoofer with these! Beautiful natural wood grain finish, too. I’d love to hear how these sound. 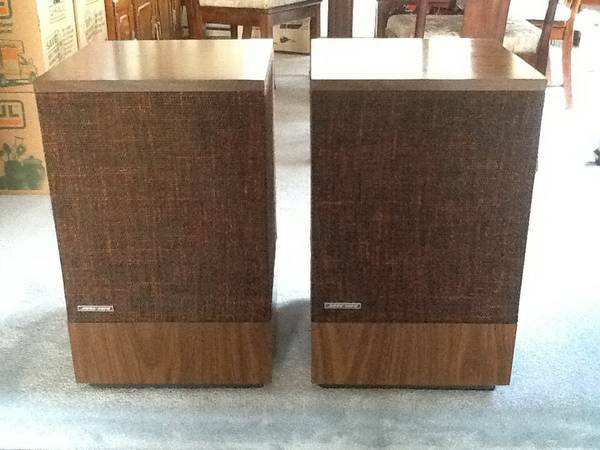 From back when Radio Shack produced something worthwhile, these Realistic Mach One speakers are collectible and well regarded today. With a 15″ woofer, multicell exponential horn midrange and horn tweeter these speakers have a fantastic presence in the room and will reproduce 25 Hz – 20 KHz. The grilles cover the lower cabinet but leave the top multicell horn exposed, making a very interesting presence in the room. These were freshly re-foamed and re-coned, so should sound great and last for a long time. These look like they could use some TLC, but are intriguing. The multicell horn reminds me of the Pioneer CS series from the ’60s and ’70s, and I don’t recognize anything else. They could be Pioneers which have seen better days. Might be an interesting project? 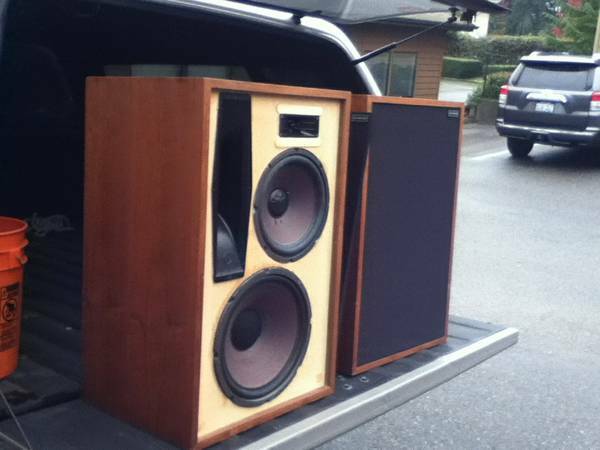 The Speakerlab 7s were made right here in Seattle, and feature a large and highly efficient 12″ woofer, 10″ passive radiator, and use Electro-Voice drivers for the mid-range and treble horns. The vertical midrange horn will produce a fairly narrow sound field, but otherwise, these are known as thumping hard and delivering exceptional clarity. Truly a fantastic rock speaker from the classic hi-fi era. 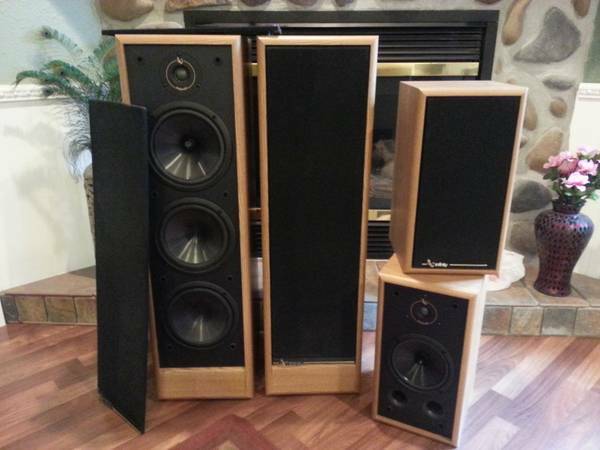 If you’re in the market for some new speakers, please click through to the sale ads and contact the sellers! Good luck! 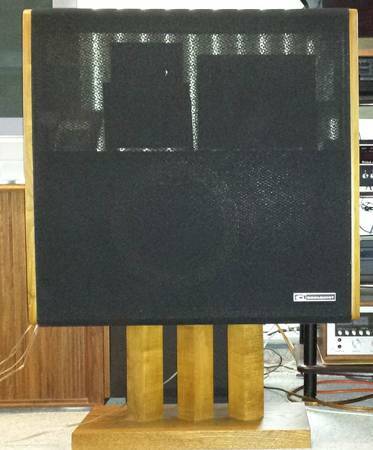 This entry was posted in Audio, Collections, Hi-Fi, Speakers and tagged 501, Bose, Bose 501, Dahlquist, Dahlquist DQ-10, dome, DQ-10, EMIT, EMIT-k, Horn, Infinity, Infinity Modulus, Infinity Reference, Infinity RS 5000, Legacy Audio, Legacy Audio Signature, Mach One, Modulus, multicell, pioneer, Pioneer CS, polycell, Radio Shack, Realistic, Realistic Mach One, Reference, RS, RS 5000, speaker spotter, speakerlab, Speakerlab 7, Speakers, tweeter, woofer. Bookmark the permalink.